The clock effect/principle is a variant of the automatic placement principle. It allows you to force a card. The procedure typically is that the spectator freely selects any full hour on the clock (1-12). Cards are then dealt into a clock pattern where one card takes the place of each hour. The card at the spectator's freely chosen hour is the force card, which for example could have been predicted beforehand. The Clock Effect using playing cards originated at the turn of the century. Potter's Index subsequently listed thirty-eight (38) references—one of the earliest being Hercat's More Conjuring (1912). However, Fred G. Taylor’s “Crazy Clocks” in Pallbearers Review (Volume 3 - Number 3: January 1968) was the method that piqued Jon's interest. 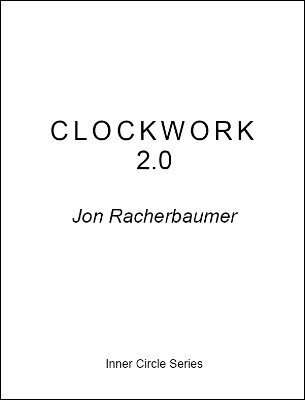 Jon describes in this ebook a number of the most important variants of this effect followed by a partial chronology of the effect. 2nd edition 2002; 32 pages.